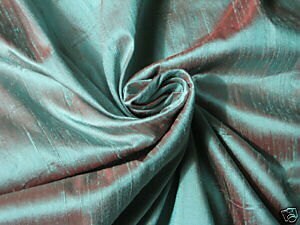 Tiffany Blue Robin's Egg Blue Red Orange iridescent dupioni silk fabric. 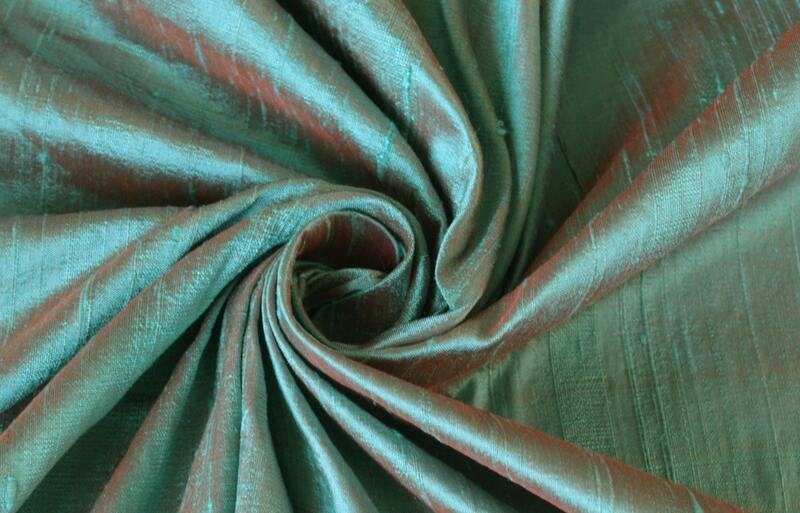 Brand New High-End Dupioni Silk Fabric Yardage. 45 inches wide.This is very strikingly iridescent with a Tiffany Blue warp and a weft color perfectly between a red and an orange! Part of a multi-item order, the Seller was very responsive to questions and a pleasure to work with. Gorgeous silk. Exactly as pictured. Fast Shipping. Fast service, great product. Photos were spot on (which can be hard to do). Will absolutely buy from DesignerNeeds again!! Lovely fabric and quick ship. Very beautiful and great service, thank you!